For his 60th Birthday Iqbal Chagger decided to celebrate by taking a trip to India with his wife, little did he know the rest of his family were plotting a surprise for when he got home. 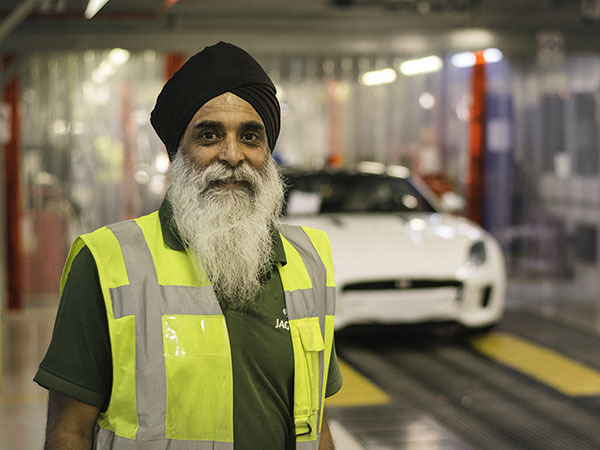 Iqbal or ‘Chagger’ as he’s known in the Sports Car Facility has been with the company for 35 years and has always worked on Jaguars, starting his career at Browns Lane before moving over to Castle Bromwich in 2005. During the recent summer shutdown he’d taken a trip to India celebrate his milestone birthday at the Golden Temple in the city of Amritsar in Punjab with his wife. A week later when he got back his family had arranged what he thought would be a small celebration at his local temple on the Foleshill road in his native Coventry, where Iqbal is regularly involved in charity work within the community. “I had just cut the cake and was passed a small box to open,” said Iqbal. 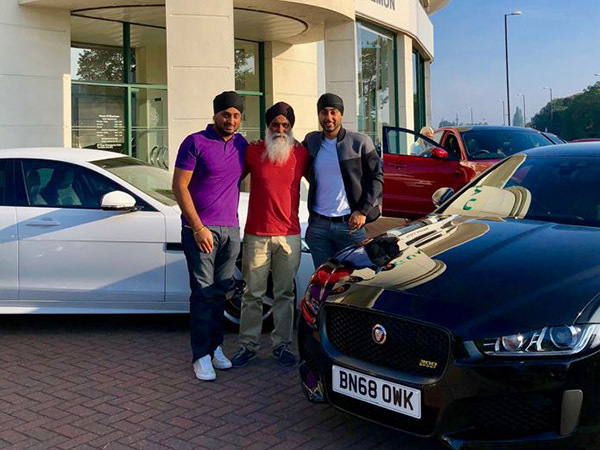 “I had no idea at all what was coming next but I opened the box to see a Jaguar key, I was still taking in what that meant as I looked outside to see my son Amardeep drive into view in a new Jaguar XE. It was easy to tell by the way he spoke that Iqbal is clearly a dad who’s proud of his kids. Amardeep who himself works for Jaguar Land Rover in our finance team based over in Whitley had gone through the employee Privilege scheme and chipped in with his brother Tarndeep who works for the Mercedes Formula 1 team, their sister Gurmeet who’s a teacher and their respective partners to surprise their dad on his 60th. The car that Amardeep had been driving was in fact however a loan from the local dealership Guy Salmon who was also in on the surprise. Iqbal would have to wait another week to pick up his own car as they waited the new registration to come in for September. 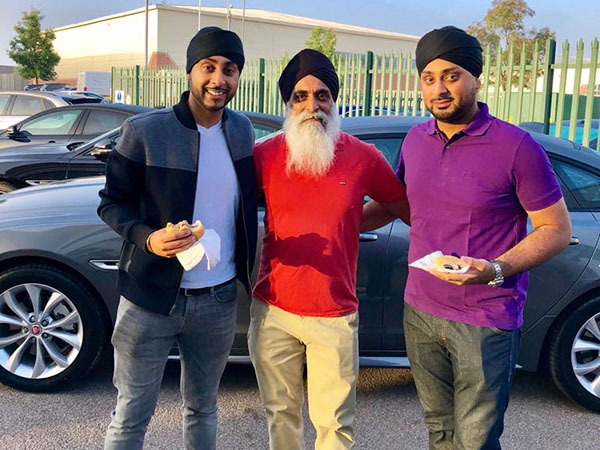 “The team over at the Guy Salmon dealership have been absolutely brilliant,” continued Iqbal as he retold the story of how he and his sons went into collect the car early the following Saturday morning. “They treated us to breakfast and had put a silk over my car to give me the full reveal treatment, I was certainly made to feel special." Having pulled back the silk to reveal his brand new XE 300 Sport in all its glory the family took time to take a few selfies with the new motor before taking it out for a drive. …take the car to the Gurdwara temple to get it officially blessed. Having now had the car for a few weeks I asked what he thought of it. “It’s beautiful and lovely to drive, it is great to know that I’m driving around in a car that we make here at Castle Brom,” he answered. We wish Iqbal a belated 60th birthday and many years of enjoyment in his new Jaguar.